The third in our series of podcasts from our January live show at SF Sketchfest. 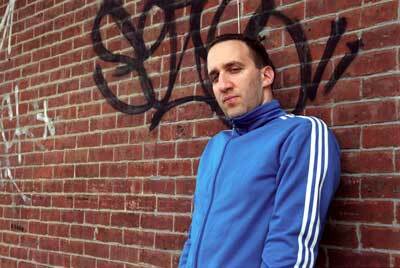 Danny Hoch is a multiple Obie award-winning playwright and actor, and the founder of the Hip-Hop Theater Festival. His newest show, "Takin Over," is currently in its premiere run at Berkeley Rep in Berkeley, California. The show examines the gentrification of Williamsburg, Brooklyn, using character monologues from a variety of community members. It is way, way better than that lame description makes it sound. Hoch talked about being a native New Yorker, how he feels when he's looking at the organic produce in Whole Foods, and how all the women he meets in New York seem to have come to the city from somewhere else to "find themselves." same here in Montreal-North ..they build Condo in the ghetto ! ?